Sweetly fragrant, semi-translucent white flowers that bloom in loose clusters. 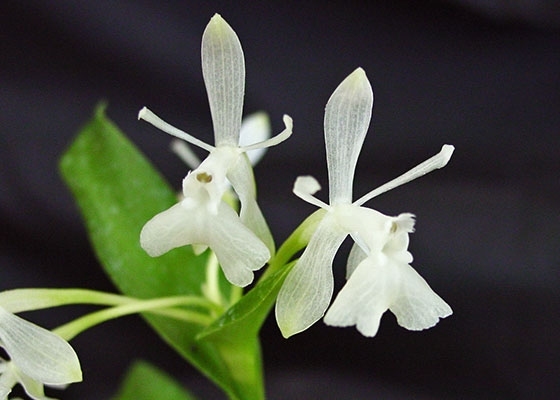 This species is closely related to Epidendrum difforme, but the flowers are pure white without any pronounced green color.Warm to Intermediate. Summer blooming. Species from Ecuador.